We are very happy to announce the new Entlebucher litter of Happy Ranch. There were born 2 females and 4 males. We still have available 1 male. We have one boy and the girl still waiting for their new owners! Puppies that are leaving for new homes have all vaccines for first year, health book, pedigree and our commitment to help with any issues or questions you might have during entire life of puppy. Mai avem un baiat si o fetita in cautara unei noi familii! Cateii pleaca la noile familii cu toate vaccinurile aferente primului an de viata efectuate, cu carnet de sanatate, pedigree, carnet de performanta si angajamentul nostru de a va ajuta in orice problema si sa va raspundem la orice intrebari ati avea in legatura cu cainele pe toata perioada sa de viata. Brandy Of Happy Ranch will stay in our kennel! 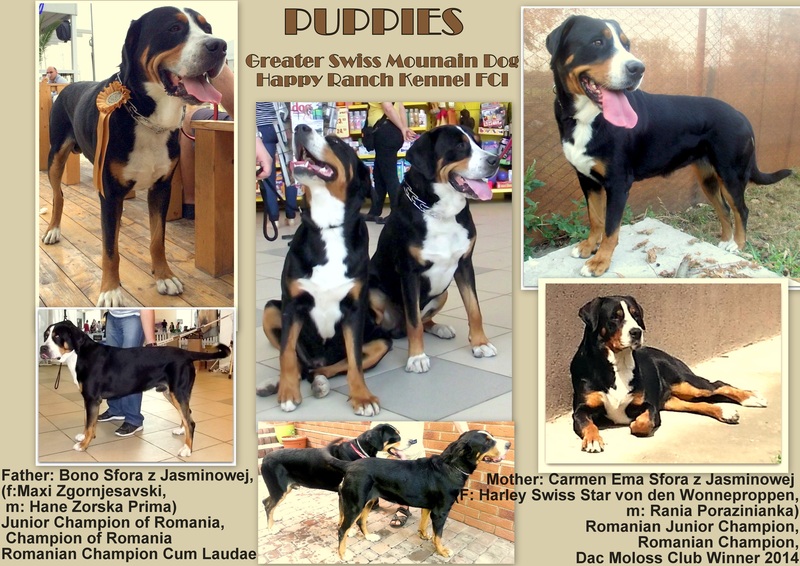 Greater Swiss Mountain Dog puppies were born on November 16th 2014 during the night. There are 3 boys and 4 girls. They are healthy and strong. Primii pui de Marele Ciobanesc Elvetian nascuti in Romania in data de 16 Noiembrie 2014. Sunt 3 baietei si 4 fetite. 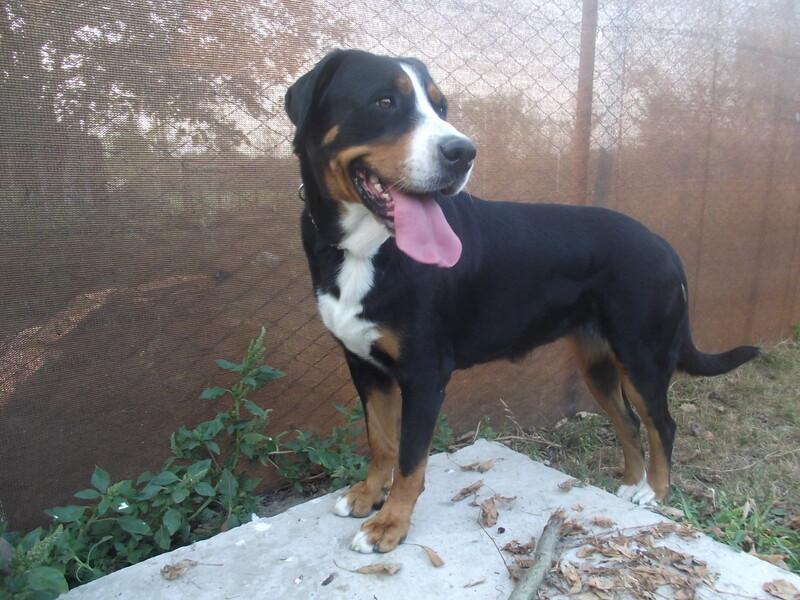 Toti sunt sanatosi si puternici..
Hi, I was wondering how pricing for the greater Swiss mountain dogs nornally go. And where are you located ? Thank you! So amazing and nice puppies, I hope will be future champions. Will come again to enjoy your beautiful pics. Ah, and let me know if I am aloud to publish few of your dog photos into my websites, thx a lot.